Laura Dally, sociology student and all-star member of the Huskies women’s basketball team. It has been a year to remember—a career to remember, in fact—for Laura Dally. 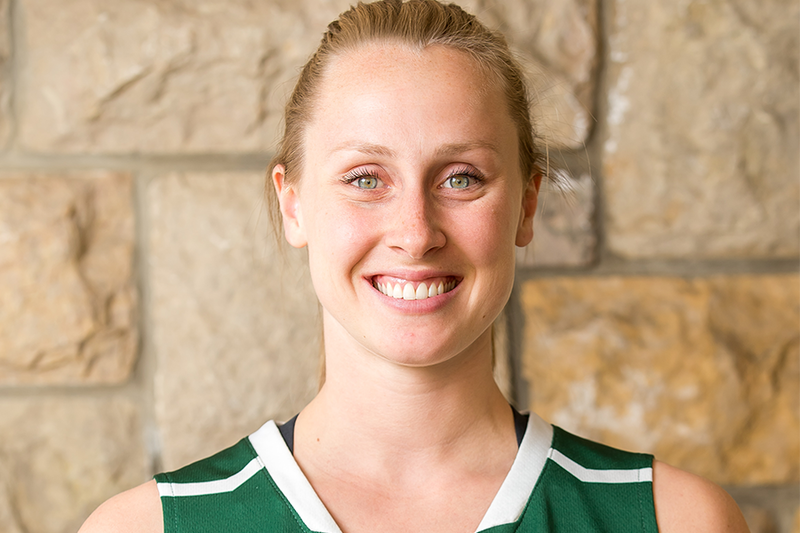 The University of Saskatchewan sociology student and all-star member of the Huskies women's basketball team capped her five-year career with a national championship title, while also being named Canada West player of the year, the U of S female athlete of the year and a first-team all-Canadian. "I am really lucky and it's been an amazing year," said Dally. "Even if we didn't win, (coming to the U of S) still would have been one of the best decisions that I have ever made. The girls on the team and the coaching staff were so welcoming, people in the community, people at the gym, everyone was just so supportive … it was amazing." While 2016 has already been filled with an awesome array of awards and accolades and a treasure trove of titles and trophies, it is only the beginning for the 23-year-old native of Bright's Grove, Ont. Dally, who is scheduled to complete her sociology degree studies in the spring session and graduate at Fall Convocation, is also preparing to move on to play professional basketball overseas this fall after completing a star-studded Canadian Interuniversity Sport career with the Huskies. Dally recently signed with an agent at Toronto-based Slan Sports Management, which is securing a contract for her to play in Europe in 2016-17. For Dally, a six-foot-tall guard with the size, skills and shooting ability that pro teams covet, it is a chance to fulfill a dream to play professionally and travel internationally, while also giving her a year to figure out what she wants to study next in her academic career. "(Playing professionally) is definitely not something that I am going to do until my body breaks down, but it is an opportunity to see other parts of the world, which is something that I have always wanted to do," said Dally. "And for me, for school, I am not too sure what I will do next, so this is a good chance for me to take a break and think about that and then decide what to study." If that was not enough, Dally may also have a chance to represent Canada on the biggest international stage this year, when Huskies head coach Lisa Thomaidis guides the national women's basketball team at the Summer Olympic Games in Rio de Janeiro. Dally is one of 24 players who have been picked to take part in the national team selection camp in Edmonton, beginning May 21. "The players on that team, those are the girls that I have looked up to and they have brought Canadian basketball to another level, and to be on the same court as them would be unreal," said Dally, who also donned a Team Canada jersey last summer when she helped lead the national women's development team to a silver medal at the World University Games in Korea. It may be a long shot for Dally to play in the Olympics straight out of university, but Thomaidis said she has earned the right to be considered one of the best players in the country and to take part in a competitive camp that will also help her prepare for turning pro. "Laura was so impactful for our team this season and she was exceptional at the national championship tournament and showed why she was one of the best basketball players in the CIS," said Thomaidis. "Having her come to our (Canadian) senior camp in May will be a tremendous opportunity for her as she continues to develop her game and prepare for a professional career in Europe… Laura will have a great career as a professional because she already carries herself like a pro. Her work ethic and determination is something that is rarely seen in individuals, and is what sets her apart."